This face mix is a hybrid GFRC, dual component bag mix. It is ideal for precast concrete applications that require longer, thinner, more flexible and lighter pieces that are not easily accomplished through traditional poured concrete applications. 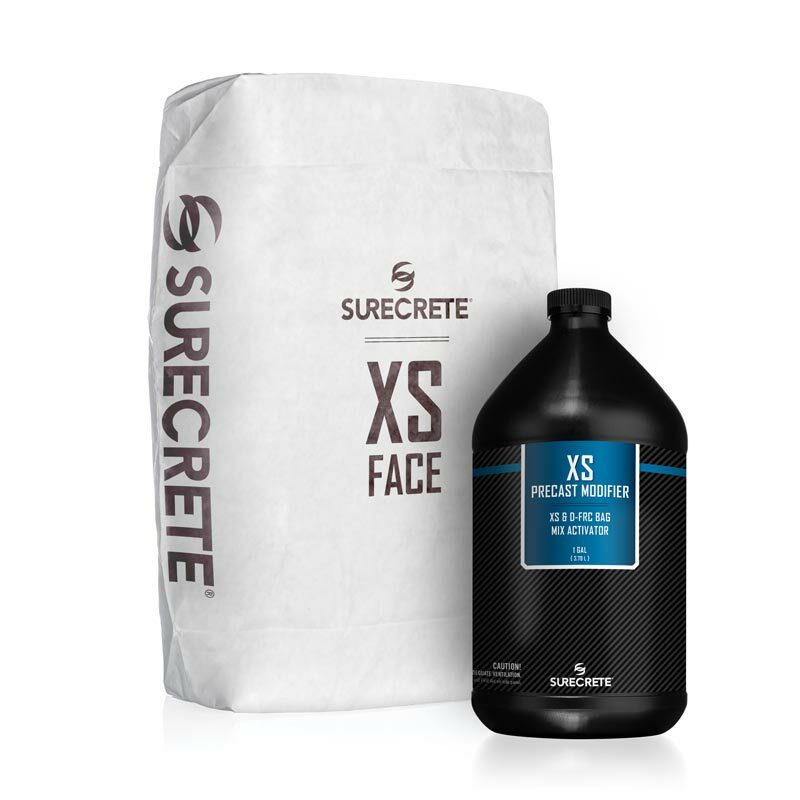 The Xtreme Series GFRC Face Mix is sprayed at 1/16″ – 1/8″ thick and is used in combination with the Xtreme Series Backer Mix at 1/4″ – 1/2″ thick. This combination allows for high early strength, high compressive and flexural strength in every project. With NO polymers and NO acrylics there is very little effect by weather during application or shipping. Xtreme Series GFRC Face Mix is ideal for countertops, fireplace pieces, architectural panels, rocks, and thousands of precast items. This face mix is a hybrid GFRC, dual component bag mix. It is ideal for precast concrete applications that require longer, thinner, more flexible and lighter pieces that are not easily accomplished through traditional poured concrete applications. 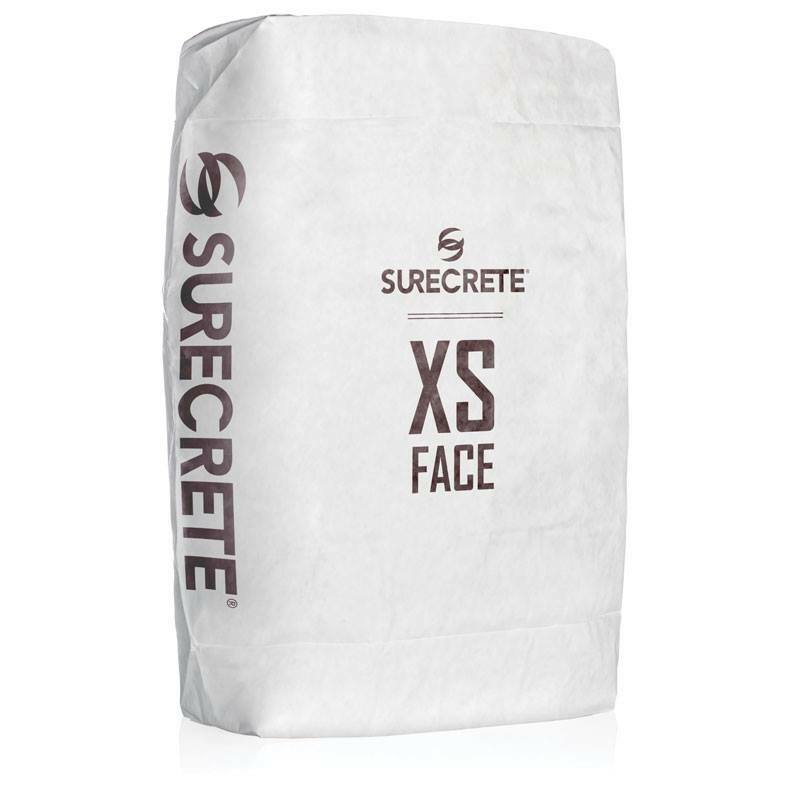 The Xtreme Series GFRC Face Mix is sprayed at 1/16″ – 1/8″ thick and is used in combination with the Xtreme Series Backer Mix at 1/4″ – 1/2″ thick. This combination allows for high early strength, high compressive and flexural strength in every project. With NO polymers and NO acrylics, there is very little effect on the weather during application or shipping. Xtreme Series GFRC Face Mix is ideal for countertops, fireplace pieces, architectural panels, rocks, and thousands of precast items. Coverage 50 lb bag = approx 20-25 square foot @ 1/4″ or roughly 0.43 cubic foot.